Not sure how to choose your wedding cake? Much more than a sweet finale to the reception meal, wedding cakes are a major style statement and can be one of the main attractions at any wedding reception. Wedding cakes have become so elaborate, unique, and creative that you could walk into almost any bakery here in Louisville and hand the baker a sketch or picture of any design and they could make it. Whether you want a retro, vintage, Victorian, classic, or modern cake design, bakeries nowadays can fulfill your dream of the perfect wedding cake. 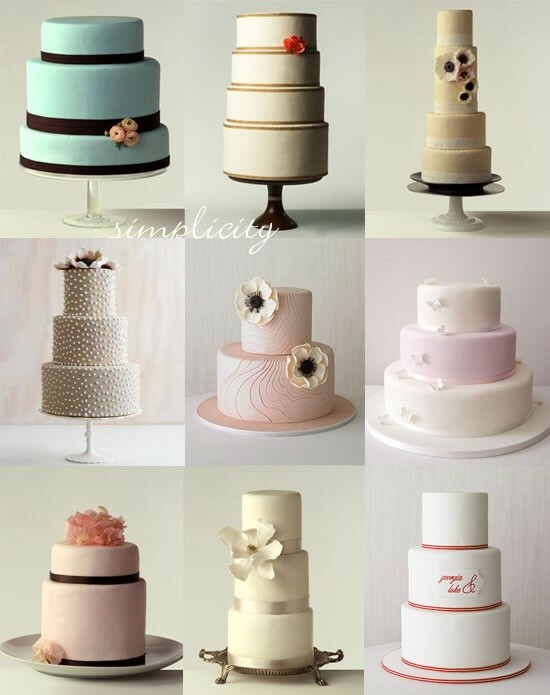 For those of you who need a little guidance, consult this list of tips on wedding cakes. Look at tons of wedding cake photos so you know your options. If you have a custom style in mind, cut out pictures, snip fabric swatches, and pull from other resources. Before you start sketching out cake plans, learn about a few basic terms, such as fondant and buttercream. Ask around to see what other brides say: Maybe one baker specializes in one thing and another in something else. You wouldn't buy a car without doing some research; the same goes for your wedding cake. One of the first things guests notice when they enter the wedding reception is the cake, so make sure it fits the decor and suits your style. You can use any inspiration point to start with, from your wedding colors to your reception space – anything else that inspires you. Flowers and other additions like polka dots and stripes are great, but use them in moderation. Whether you're going for large sugar flowers like tulips or small ones like stephanotis, don't overwhelm the cake. Make sure your cake design allows for breathing room on the top or bottom tiers so your cake doesn't look smothered. Cake bakers should be booked four to six months before your wedding, though some reputable bakers are hired up to a year in advance. If you have someone in mind, don't wait. Secure their services now, then nail down the specifics later. Some reception sites may require you to use their catering services, but stringent cake rules are less common. Definitely ask your caterer if someone on their staff is an experienced baker. You'll want to be certain your baker has a sound way to transport your cake to your reception site and that it will be sufficiently insured in case of any mishaps. To make sure that this happens, you need to include all the transportation and travel details in your contract. Couples often don't get a chance to eat their own wedding cake. Ask your caterer to save some for you. Share it with your new spouse as a snack that night or taste it at the post wedding brunch. You deserve to enjoy the cake you worked so hard to help create. Such a beautiful wedding cakes. I like it! Thanks for sharing this post to us. Beautiful and unique wedding cakes. It's really mouth watering. thanks for sharing this post to us.